The global economic crisis, which began with the collapse of U.S. securities house Lehman Brothers in 2008, also triggered a series of business failures and job losses in Japan. The nation was already facing a number of problems. An increasing number of young people is having trouble finding jobs. Many people are quitting their jobs early. The country's self sufficiency in energy and food is low, at 4 percent and 40 percent, respectively. Japan has a rapidly aging society, bringing with it elderly nursing care issues, along with the aging of the farming population, with more than two-thirds of farmers aged over 65. Moreover, the number of people complaining of mental disorders is growing rapidly, and more than 30,000 people commit suicide each year. Meanwhile, a new lifestyle is quietly becoming popular. Some think this way of living, called the "Half-Farmer/Half-X" lifestyle, has the potential to significantly reduce or gradually solve these other problems, and to help the nation realize a more attractive and diverse future. 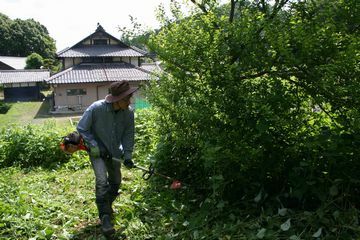 The concept of the Half-Farmer/Half-X lifestyle was first proposed in the mid-1990s by Naoki Shiomi, who now lives in the city of Ayabe in the north part of Kyoto Prefecture. The basic idea is that people pursue farming, not so much as a business but to grow food for their own family, while being constructively involved in society by realizing their own personal passion -- something he called their "X" factor. The "X" represents the questions each person must answer to find out what they really prefer to do, what they really want to do, and what they can do for others, while discovering their personal mission, their life's work, or their "true" calling in life. Shiomi himself began pursuing this lifestyle years ago, and now helps many people find their own "X." He said that through these practices, he keenly sensed that this type of lifestyle is a way of making the most of each person's talent and abandoning the twentieth-century style of mass production, mass consumption, mass and long-distance transportation, and mass disposal, while pointing the way to making happier lives and a sustainable Earth more possible. Shiomi first came up with this idea while considering the solutions to environmental problems, and this encouraged him to start the quest for a better lifestyle. When he left his hometown of Ayabe and moved to another urban area, he began to consider environmental problems from the perspective of future generations and ponder how he should live. As a result, he felt a strong ambition to start subsistence farming to enable his family to grow crops at least for their own consumption. Shiomi also believes that environmental issues are largely associated with people's attitudes and mind-frames, an example being that some people shop and spend money on things they don't really need just to satisfy an emotional void. In industrialized countries, for example, many people tend to consume goods haphazardly in order to feel fulfilled, or buy goods on impulse after receiving prodding from various information sources, such as commercial advertisements on television and in newspapers, magazines, as well as flyers, and in-store point-of-purchase displays. While practicing such consumption patterns, people don't have the time to give more than a passing thought to the global environment or the working conditions of the producers of the goods they buy. When shopping, they often put things into their shopping basket without even considering whether they are absolutely necessary, whether using them matches their values, or whether the products can be used for a long time. Shiomi believes the root causes of today's environmental problems are linked to most people's immature ways of trying to find their own identity, as well as their desire to simply consume, which leads to consumption behavior that resembles an addiction. Shiomi discovered a fundamental truth by living the Half-Farmer/Half-X lifestyle back in his rural hometown of Ayabe. In other words, he found contentment in making less money but being spiritually enriched. And he is not alone. Others living the same lifestyle in Ayabe find it to be true. Shiomi says he has heard similar comments from other practitioners of the Half-Farmer/Half-X lifestyle, whose numbers have increased nationwide in recent years. Basically, they are content with their lives, in which they enjoy the practice of everyday farming, even on a small scale, and at the same time they work on developing a satisfying vocation, thereby not turning so easily to consumption, and in fact finding less need for it. In addition, because agriculture -- which is integrally affected by weather, water, soil, air, and other natural elements -- is part of their daily lives, they cannot help but shift their focus to the natural world and become sensitive to changes in the environment. Naturally, they develop a "sense of wonder," as described by Rachel Carson, author of the environmental book "Silent Spring." Shiomi explains that one of the reasons he recommends the Half-Farmer/Half-X lifestyle is that through it people can enhance and deepen both their farming life and their vocations at the same time. In the act of growing things, people experience nature directly and begin to harmonize with it. They also feel more closely connected in mind and body with the cycles of life through the experience of being close to life and death and nurturing living things. In the modern era, in which places of production and consumption are almost completely separate, being involved with growing things could be instrumental for many people to regain a sensitivity to and sensibility about the natural world. Meanwhile, almost everyone wonders from time to time who they really are and what is the purpose of their life. According to Shiomi, the answer to these questions is to practice the "X" each person is called to do. When truly being engaged in their "X," he says, people might even forget about sleeping and eating, be filled with enthusiasm, really enjoy their life, and feel life is worth living. The experience of becoming more sensitive by focusing on farming and deeper thoughts, while sharpening sensibility through earnest work, often brings out the best in people while they work on their personal calling. Not only that, people tend to feel immeasurably more secure in this economic crisis when they know they have enough basic food to survive, at least until next summer. In the old days, having many and large possessions was considered a sign of affluence, and people actively pursued this status, but lately some people's values are changing slowly but steadily. Nowadays, more people are asking themselves if they will really be that happy if they have a lot of things. 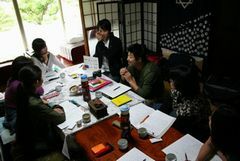 Shiomi has conveyed the concept of the Half-Farmer/Half-X lifestyle through lectures, books, the Internet, etc., and he says that people in their twenties to forties, the so-called "debt generation," show particularly strong interest in his concept. This seems to be because they are the ones that will have to pay the debt left by the previous generation, which over-consumed natural resources and abused the environment. A steadily increasing number of young people are recognizing that it's better to share benefits rather than monopolize them, to live life commensurate with one's income level rather than chasing after unnecessarily large things, and keeping pace with the flow of nature rather than leading a hectic life consuming energy and sacrificing the environment. These people are working to incorporate this more comfortable lifestyle into their daily lives. 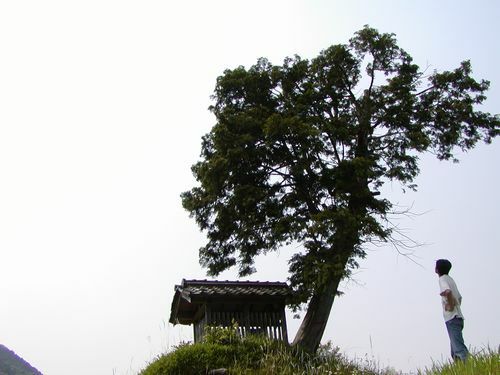 Many people in Ayabe are now exploring their own "X," irrespective of their age and gender, and whether they grew up there or moved from outside. In fact, a number of people have become successful while exploring their "X," and have helped in activating their communities at the same time. For example, one woman aged over 70 started to offer accommodations at her spacious farmhouse as a green tourism business. And one former teacher began growing roses in memory of Anne Frank to donate as symbols of peace. There's also a married couple focusing on their painting works of art, while also cultivating their sensitivity to nature and engaging in farming. 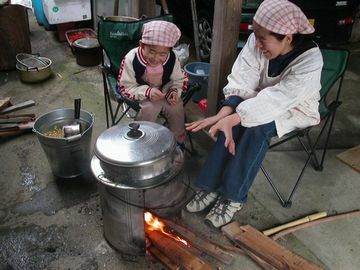 Once hearing stories like these, more and more people have come to visit Ayabe to see how people there live, from as far away as Taiwan, where one of Shiomi's books has been translated into Chinese. 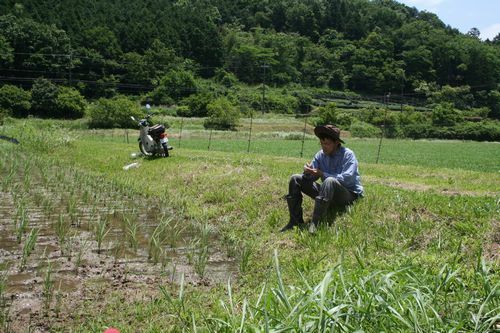 It is not only in Ayabe that this is happening but also other regions throughout Japan, where an increasing number of people are following the Half-Farmer/Half-X concept and leading more enriched, happy lives. Shiomi believes a new fulfilled and happy life model can be followed in a society consisting of people who have found their own "X." He believes that creation of such a society is his own "X" quest. Living in the countryside is not necessarily a prerequisite to living the Half-Farmer/Half-X lifestyle. There are many ways to grow things--on balconies, rooftops, weekend farm plots, community gardens, and so on. 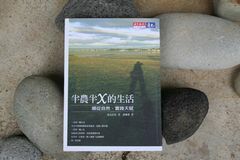 A flexible type of thinking is necessary to live the Half-Farmer/Half-X lifestyle, regardless of whether a person lives in the city or the country, and nothing can be perfect from the start. Accomplishing just one percent of a person's ideal way of farming and exploring their personal "X" is progress in itself; there is no formula that must be followed. People should start with what is possible right now. Sowing at least one seed is the quickest way to start growing things and finding one's own "X" factor. The Half-Farmer/Half-X concept is spreading, and is seen as a ray of light showing the way to a better lifestyle in this modern society, which is facing various problems regarding self-sufficiency, food supply, employment, mental issues, environmental issues, aging, energy, education, money-centrism, and so on. Hopefully, more remedies to the problems of our age will be revealed in the next 10 years or less and will include new lifestyles like the one Shiomi lives.